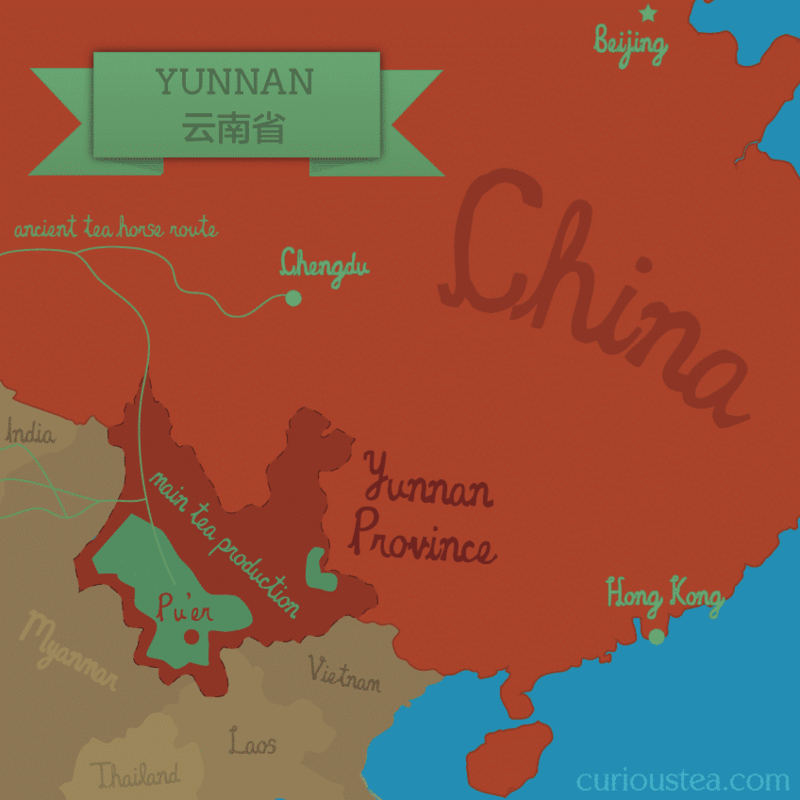 Dian Hong Ai Lao Mountain is an unusual high mountain Dian Hong from Yunnan Province in China. 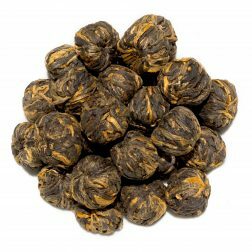 It undergoes processing similar to Taiwanese or Wu Yi Rock black teas. 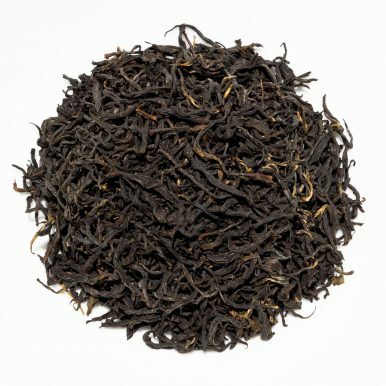 The subtle amber liquor has a light malty taste with a woody eucalyptus note. 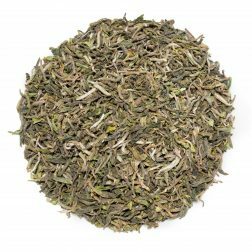 Mildly stony, this tea has a sweet, fruity and brisk aftertaste. 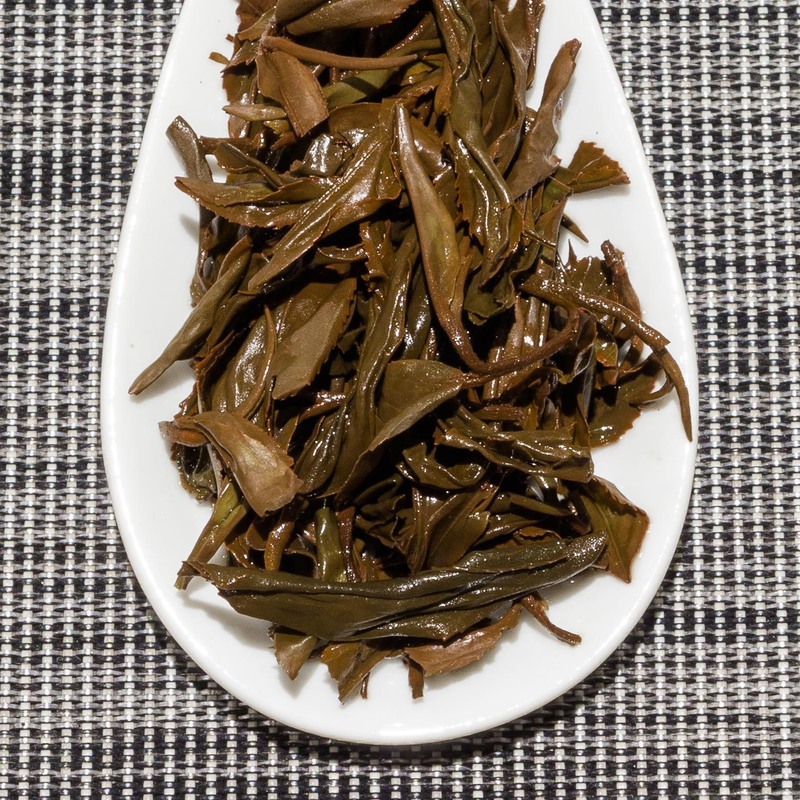 Dian Hong Ai Lao Mountain (滇紅哀牢山) is a rather unusual Dian Hong, or Yunnan Red, black tea from Ai Lao Shan in Zhenyuan Yi, Hani and Lahu Autonomous County of Yunnan Province, China. 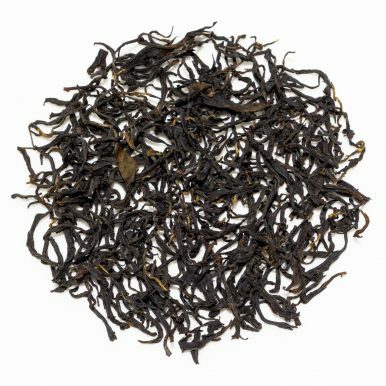 Grown high up in remote and unspoilt Ai Lao Mountains at an altitude of 2,000 metres, it is a fine example of a high mountain tea that is processed similarly to Taiwanese and Wu Yi Rock black teas. It was plucked and processed in March 2017. This Dian Hong Ai Lao Mountain is quite different to most Dian Hong teas, being less malty, lighter and fruitier. 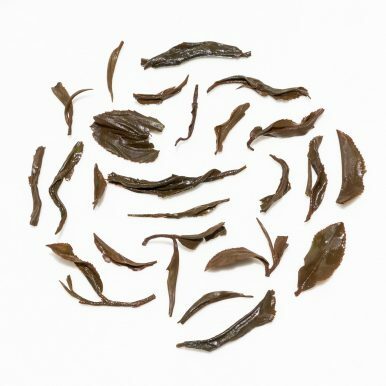 The farmer has a background in Taiwanese teas and this is evident in the style of this unique tea. 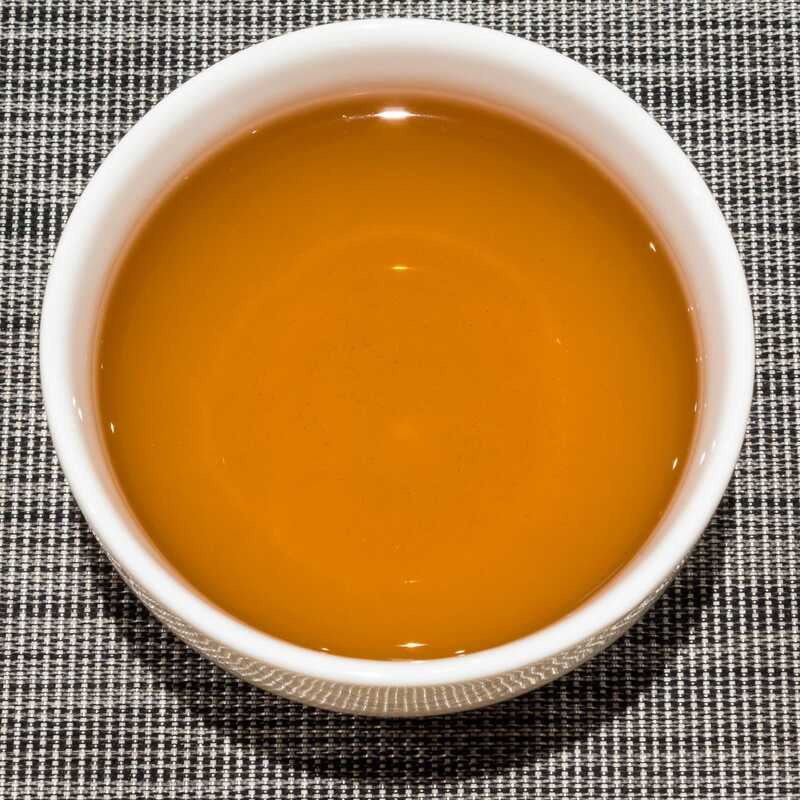 The levels of oxidation are somewhat lower, resulting in a light, sweet and fruity style of tea. It is always intriguing to see exchange of information, ideas and styles between tea growing regions. 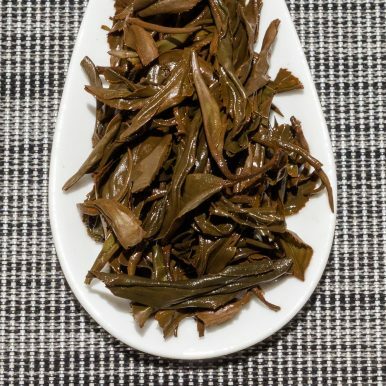 Needless to say that China is the dominant force in traditional ways of tea, however some farmers in China are starting to experiment with producing teas following ideas and techniques from other growing regions, such as Japan and Taiwan, with quite interesting results. 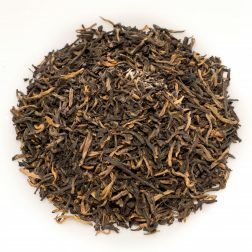 This particular tea definitely reminds us of a Taiwanese style black tea so it would appeal to those wanting to try a new different sort of Chinese black tea! The wiry dark brown leaves of this Dian Hong Ai Lao Mountain black tea have a bit of gold colour to them and a slightly malty and fruity aroma. 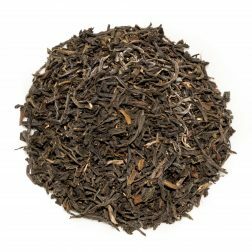 This tea produces a subtly amber liquor with a very light malty scent of eucalyptus and pine. You can see the lower levels of oxidation on the brewed tea leaves – they still have some dark green colours. The light and balanced liquor has a slightly malty taste with a woody eucalyptus note. 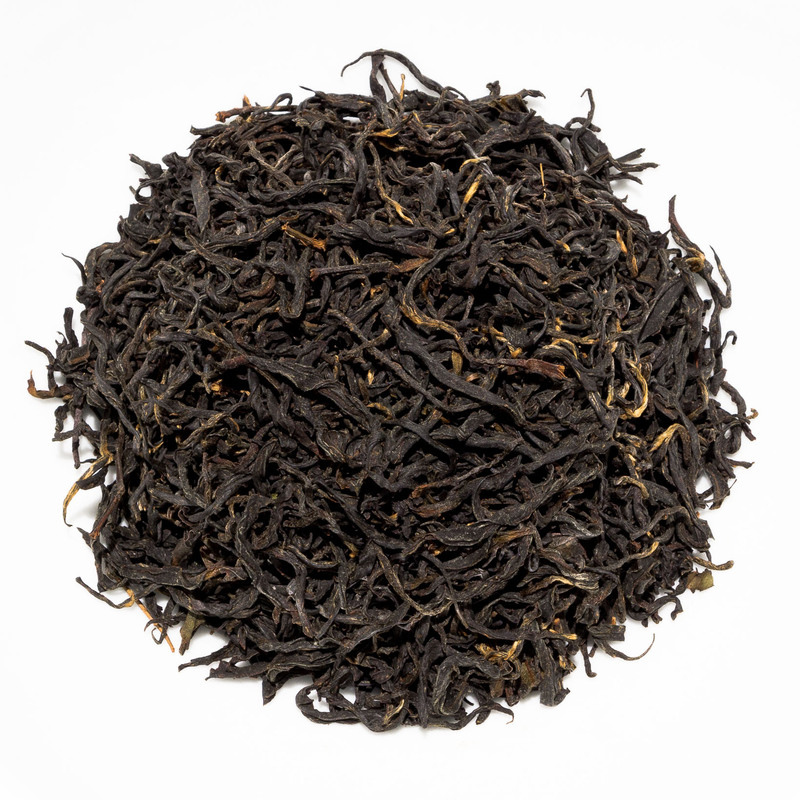 The flavours have fruity and stony notes with a sweet brisk aftertaste. 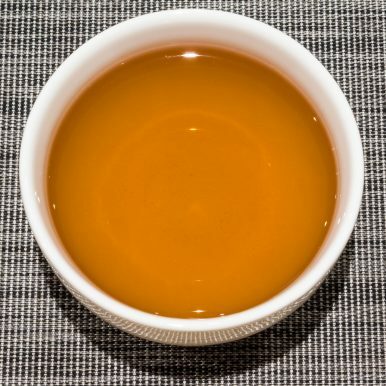 The clean finish means this tea goes well with food and sweets. We suggest brewing at 90°C for 3-4 minutes according to your taste. It can be brewed around 3 times depending on your preference. 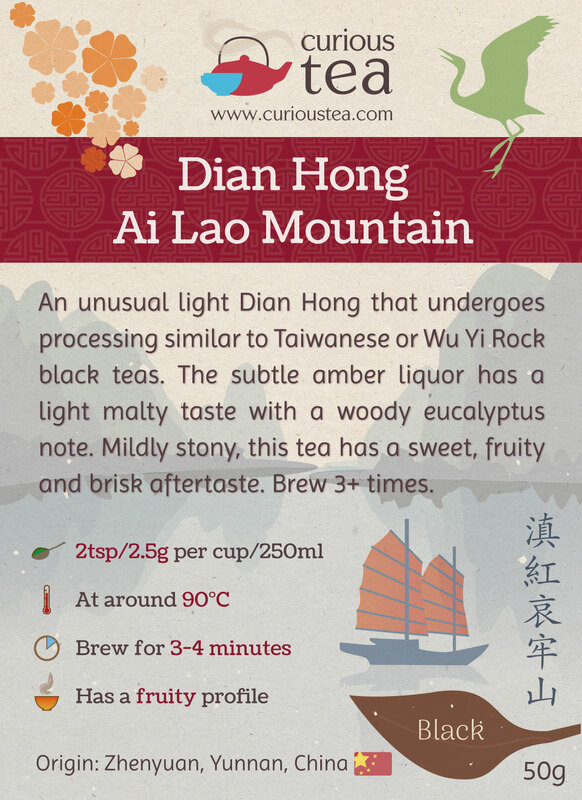 This Dian Hong Ai Lao Mountain black tea was first featured in our June 2017 Curious Tea Subscription Boxes.